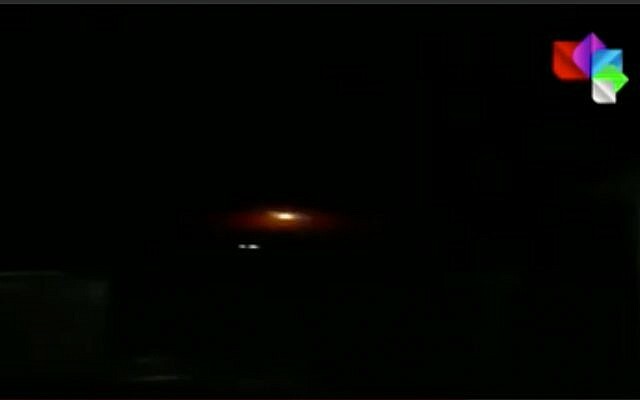 Syrian state media said Israel carried out an air strike on military targets near the city of Masyaf in western Hama province overnight Friday-Saturday. Syria’s official state news agency SANA said Israel Air Force jets fired missiles while flying from Lebanese airspace, destroying several buildings and injuring three people. Syrian opposition sources said the targeted sites served Iranian forces and their Lebanese proxy, Hezbollah. “Around 2:30 am (2330 GMT Friday)… the Israeli air force carried out a strike targeting one of our military positions in the town of Masyaf,” SANA quoted a military source as saying. SANA said Syrian air defenses intercepted some of the missiles. 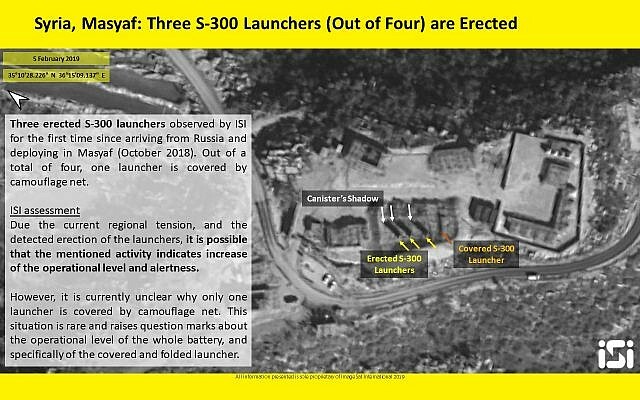 In February, an Israeli satellite imagery analysis company said that Syria’s powerful S-300 air defense system was “probably operational” in the area of Masyaf, where the recent strike reportedly occurred. The system would pose a potential threat to Israel’s aerial campaign against Iran in the country. The firm, ImageSat International, based this assessment on multiple images of the anti-aircraft battery, which showed three of its four launchers in a raised position, signaling that they are likely ready to be used by the Syrian military.